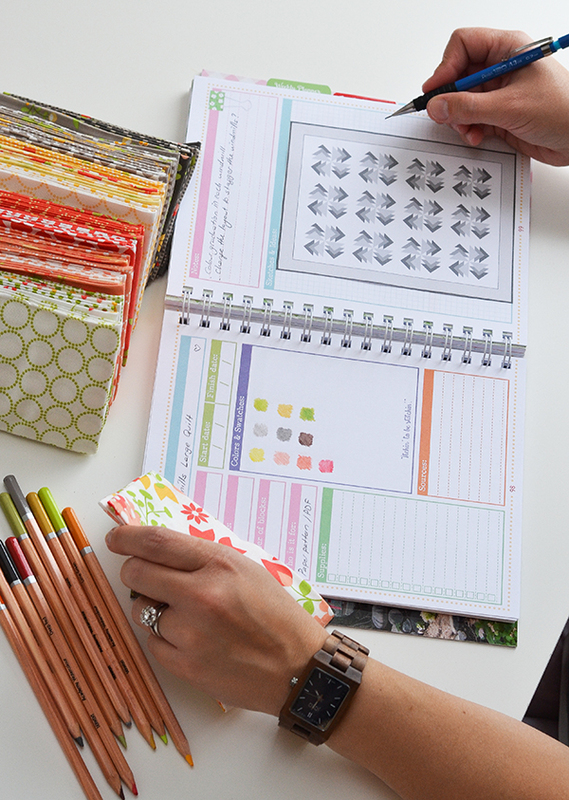 Have you been following the Scrappy Project Planner sew-along hosted by Fat Quarter Shop? This is the final week so if you missed it here's the link to the FQS blog so you can catch up! 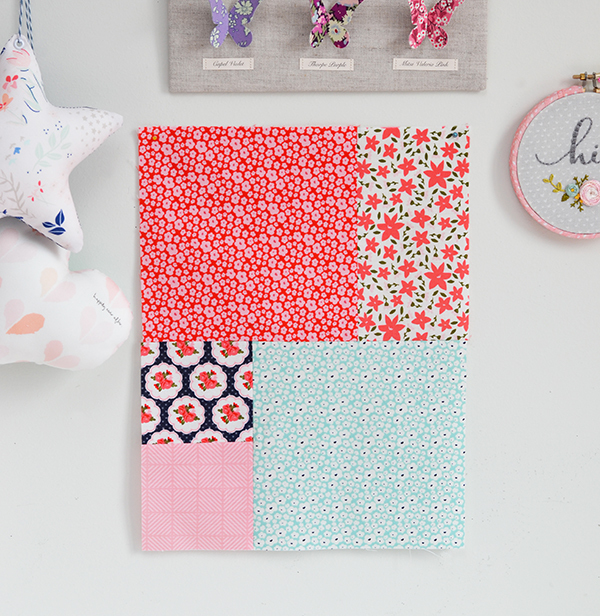 This planner was designed by Lori Holt of Bee in My Bonnet and is literally all you need to get your quilty life organised! 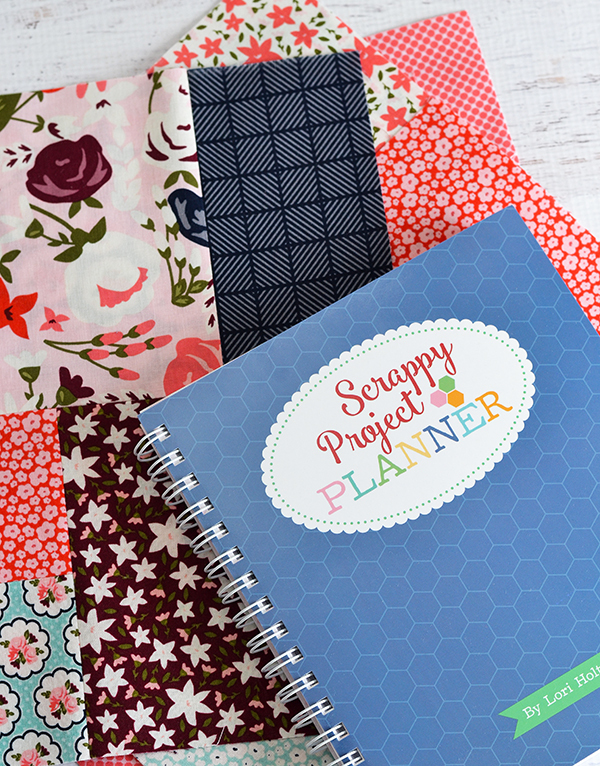 If you are anything like me you will have several WIPs on the go at any one time, so the project planner section is great to keep on top of it all and make sure nothing gets forgotten about. 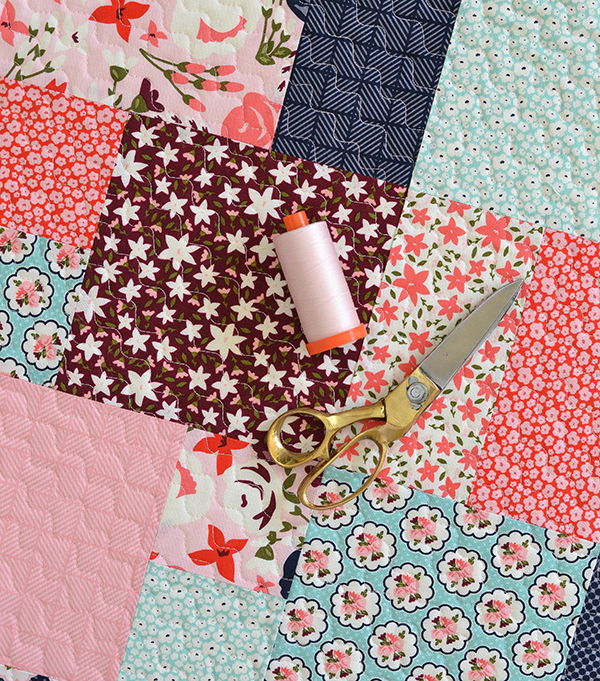 There is also a weekly planner (for your to-do lists), and 6 exclusive quilt patterns to sew. 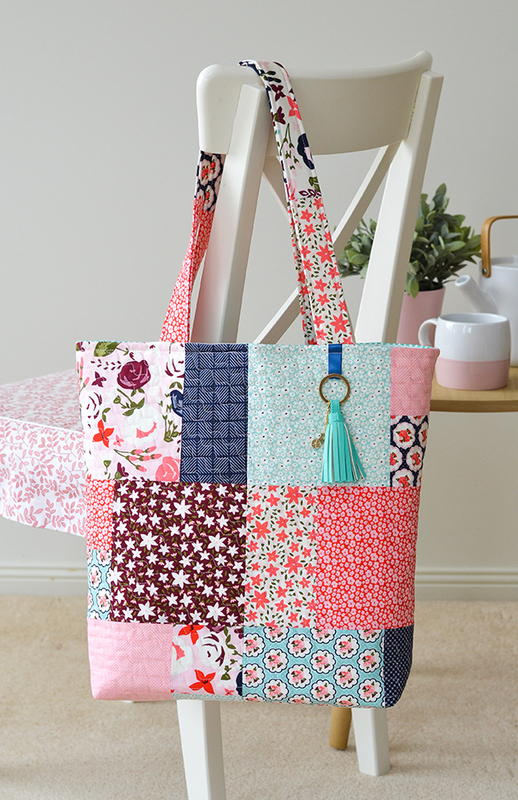 I chose the 'Fat Quarter Flirt Quilt' pattern and decided to turn it into a tote bag (mainly because I didn't have enough time to make the full quilt!). 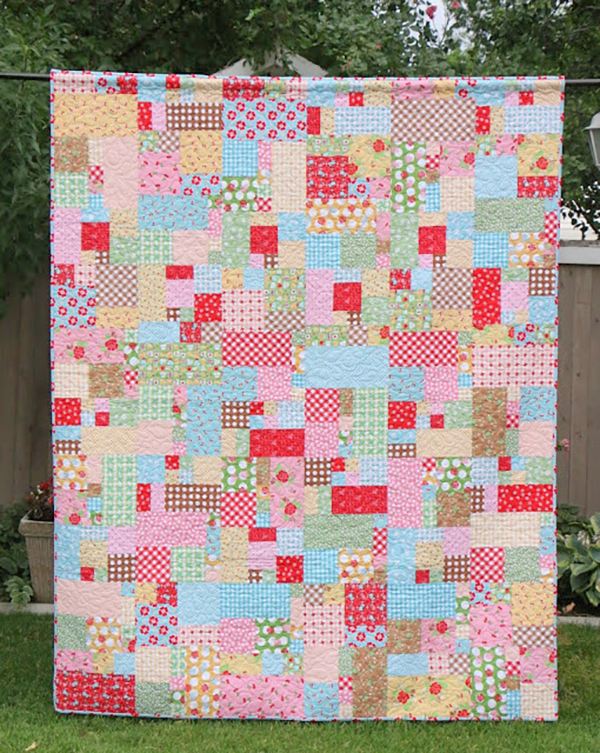 Here's Lori's Flirt Quilt - it looks totally scrappy and random but consists of 6 different blocks laid out cleverly to make it look so. 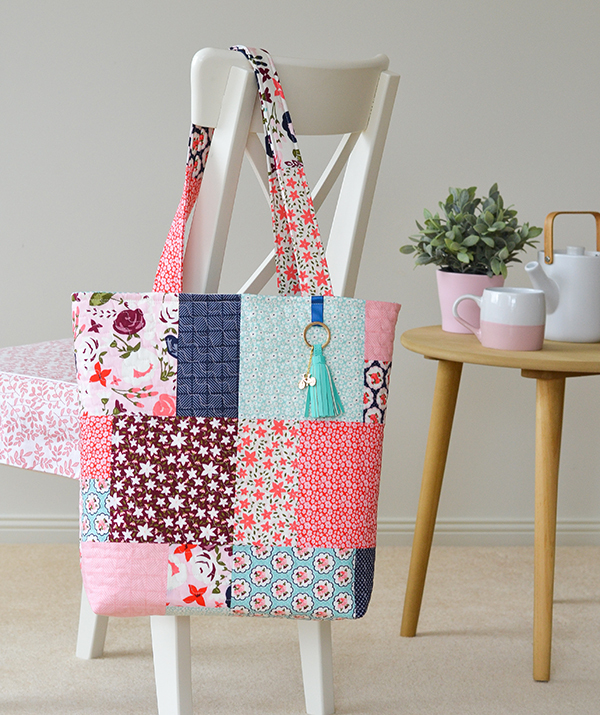 I chose 'Block 3" from the pattern and made six of these for my tote bag. 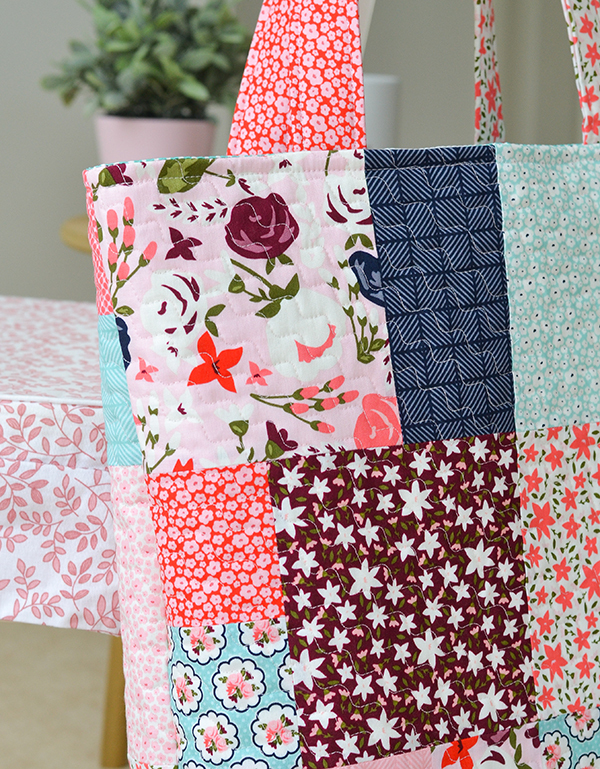 The fabric I used is 'Posy Garden' by Carina Gardner for Riley Blake Designs. I then laid out the six blocks in two columns and three rows (arranged randomly), and sewed them together to make my bag outer. Then I followed this tutorial to construct the bag. And voila! It was such a quick and satisfying sew! I'm so very proud of this project not only because I totally love the bag and will be using it every day, but it's also the very first bag I've ever made (not counting pouches). Yes, that's right. For some reason I've been utterly terrified of bags, their construction looks so bewildering but in actual fact it was easy peasy. Truly. I highly recommend the tutorial above if you are new to bags - it's a great introduction. For the quilting, I used Aurifil Pink 2410 (50 wt), and my favourite fake-FMQ method: using the wavy line stitch on my Janome Horizon. 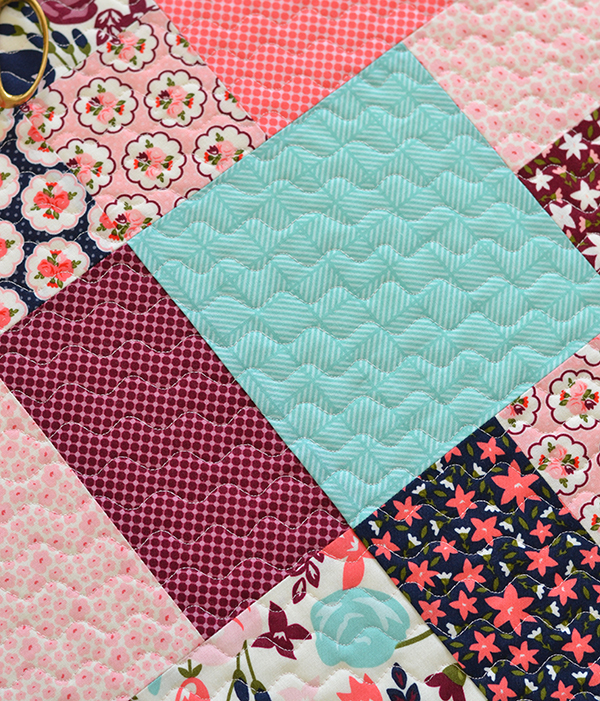 I love that it looks like free motion quilting at first glance but you don't even need to mark any lines - just follow the previous wavy line with the edge of your walking foot. It's super quick. And here's a page from my planner showing you a sneak peek of a new quilt pattern I will be releasing soon. Pattern testers, please apply within! (my awesome wood watch is from Jord Watches). Before I go, I wanted to share some exciting news: we just bought a new house! 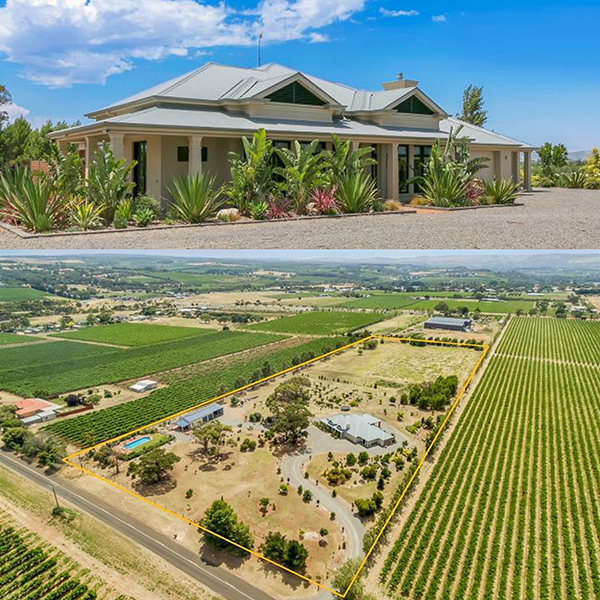 It was totally meant to be - we weren't even looking for a new home - I was driving up this particular road one day and thinking to myself "What an amazing place to live, amongst all the vineyards" and 10 metres down came across this big 'for sale' sign! It was love at first sight for both me and hubby. Set amongst 8 acres, it has a large established fruit orchard, room for chickens and an awesome tree house for the kids, and last but not least I will be getting a bespoke sewing studio built in the garden. So much to do now for the move in a few weeks but we are all super excited about this new chapter in our lives! 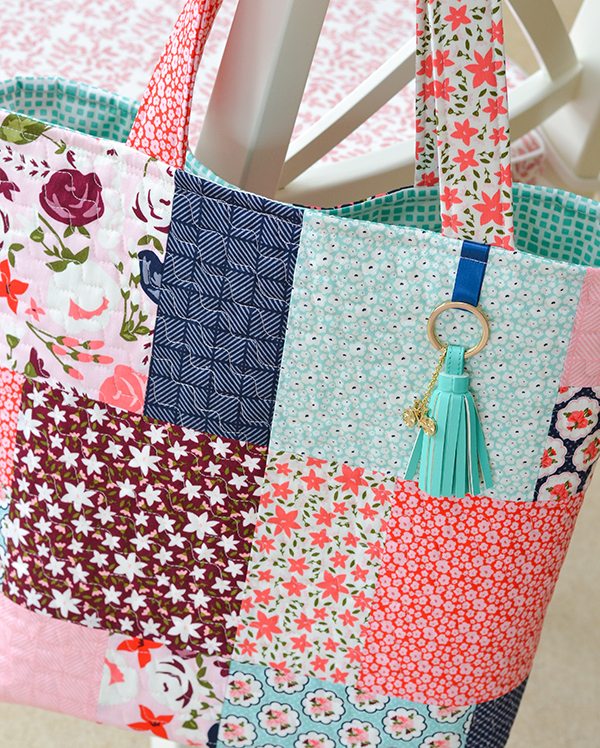 Love your bag and the soft beautiful fabrics you used. Wow!!! to this beautiful place you will be moving to - so, so happy for you! 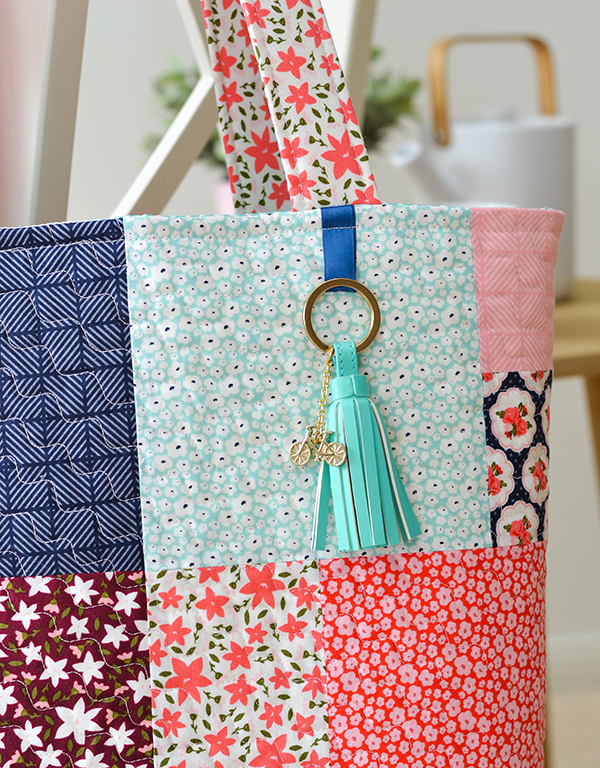 Your colour choices are always perfect, Sedef, love this tote. Beautiful home, can I see the Adelaide Hills in the distance? Hope it brings all that you wish for. Love your bag, such pretty colors...and that tassel!! Congrats on your new home, it is beautiful! Beautiful!!! 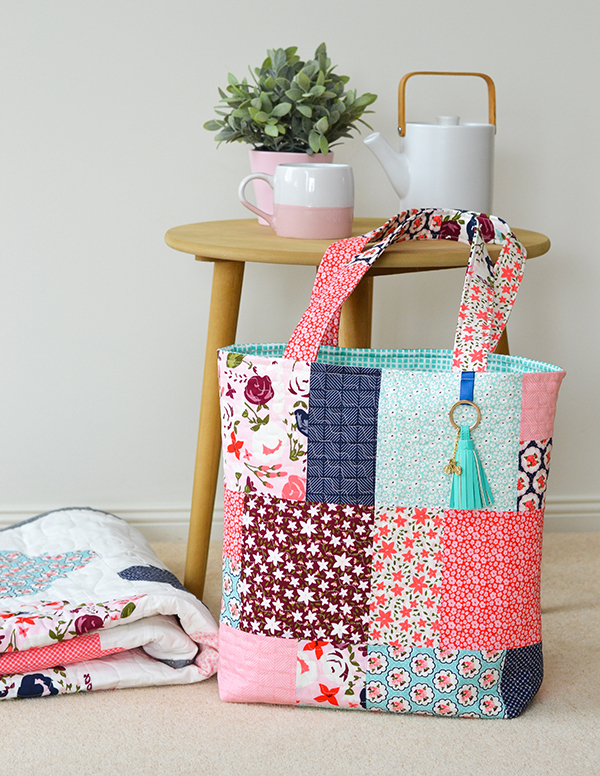 I'd love to be a patterntester! Congrats! Oh how lovely - the two bags look quite different in size. Its so hard to work out what size to sew. How big is the finished block 3? It seems a better size than the Tilda bag for every day use. The house looks divine but your own studio is the clincher. Happy moving! How big is the finished block 3? It seems a better size than the Tilda bag for every day use. Can you provide the measurements for block 3?